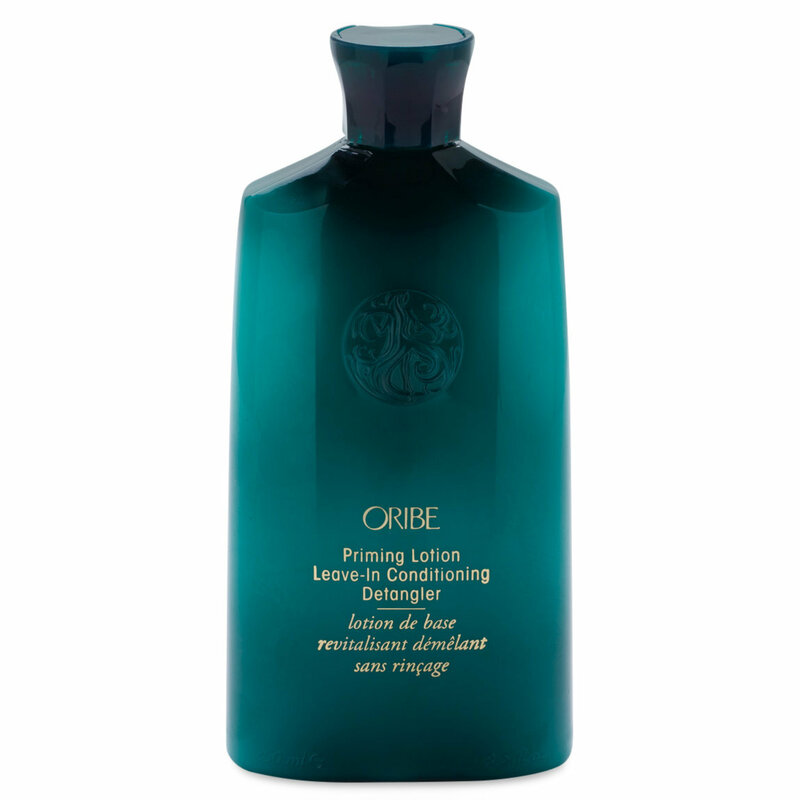 Bring a little ease into your routine with the thermal-protectant Priming Lotion Leave-In Conditioning Detangler from Oribe. This silky conditioning lotion moisturizes, smooths, and instantly detangles your strands so you can avoid breakage and comb through with ease. Work into damp hair from roots to ends. Comb through with fingers or a wide tooth comb. Try on dry hair to re-moisturize curls.